Download this whitepaper to learn how AltaVault accelerates data protection and speeds data transfer rates up to four times. 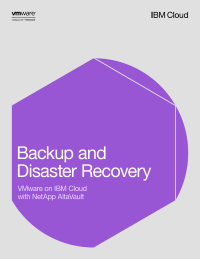 In the case of a cloud deployment, data can be restored back to a virtual appliance. The NetApp AltaVault cloud-integrated storage keeps your organization’s data encrypted and offers full cloud-protection.